Next week starts the Leon chess tournament 2007. 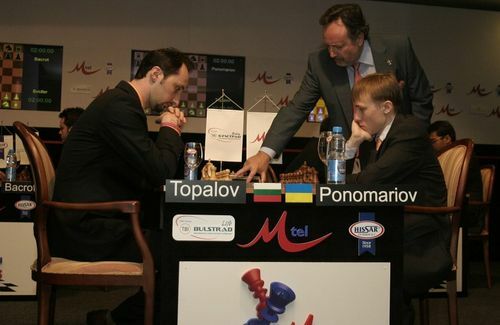 It is featuring 4 world champions – Anand, Topalov, Ponomariov, and Kasimdzhanov. The tournament will take place between July 4th-9th and will be a knockout system. The time control will be shorter than other years, 20 min + 10 sec. In case of an equal score blitz games will be played. The players enter in the tournament with updated ratings. Anand is still the leader of the list with 2792 ELO, Veselin Topalov is third with 2768. Ponomariov is 20. with 2706. Kasimdzhanov is 27 with 2683. The games from Leon will be with the online commentary of IM Kalin Karakehayov.